"Peer in close for you are looking at my favorite pieces of the season. 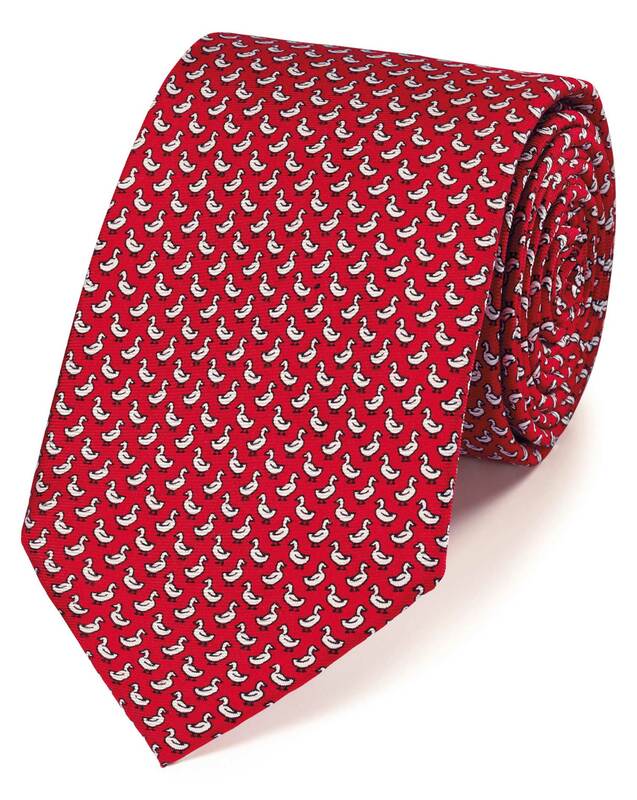 Charming critters, designed in England and printed elegantly on a beautiful silk tie: what’s not to love? Plucky young duck, dainty little squirrel or wise old owl, they’re all utterly delightful." "Our printed silk ties are finished by hand so they arrive looking magnificent." Great tie. Love the ducks!